Nestled in the Wood River Valley surrounded by the Boulder and Pioneer mountain ranges in the Northern Rockies, Sun Valley is known for its beauty and recreation. It’s considered the Shangri-La of mountain towns in the West, and yet even more spectacular, Sun Valley is home to an array of top-notch art galleries representing some of the nation’s and a few of the world’s most known and exciting artists. The Sun Valley Gallery Association, more than 30 years old, hosts monthly gallery walks where doors are open wide for all to visit, peruse, and enjoy fine art. It’s not uncommon to see major collectors and art aficionados visit Sun Valley to fulfill their passion for collecting and enjoying art, whether it’s contemporary or international works by celebrated living artists exclusively at Gail Severn Gallery, multidisciplinary exhibitions at the Sun Valley Center for the Arts, or regional and nationally known artists at the Kneeland Gallery. The gallery scene in Sun Valley boasts the allure of known modern masters at Frederic Boloix Fine Arts, rare aboriginal Australian works only found in the U.S. at Harvey Arts Projects USA, as well as the western collectibles of Broschofsky Galleries. Works of art in every medium and for all tastes are available throughout all the fine galleries in Sun Valley. 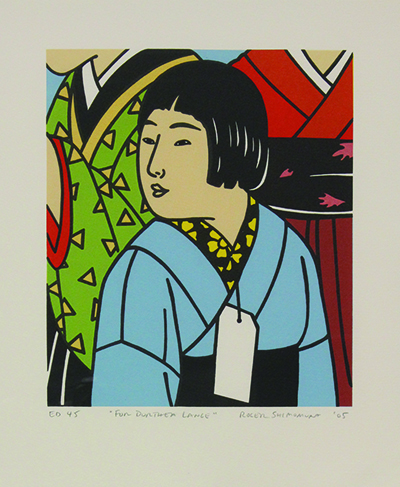 The Sun Valley Center for the Arts presents “Floating World: The Influence of Japanese Printmaking” from June 14 through August 24. “Floating World” explores the influence of Japanese ukiyo-e woodblock printmaking on American and European artists from the late 19th century to the present. A selection of Japanese prints by artists like Ando Hiroshige and Utagawa Kuniyoshi set the stage for Arts & Crafts era works, including several by Arthur Wesley Dow. Woodcuts by Helen Frankenthaler illuminate connections between abstract expressionism and Japanese art. Woodcuts by six contemporary artists illustrate the ongoing allure of ukiyo-e as the basis for innovations in printmaking today. At the Gail Severn Gallery, expect to discover and learn about some of the most interesting and established artists in the world of fine art today. Several exhibitions throughout the summer include works by nationally known artists Gwynn Murrill, Michael Gregory, and Margaret Keelan. In August, the Gail Severn Gallery presents a Rod Kagan Retrospective along with other exhibitions, including works by Allison Stewart. The summer continues with more exhibitions featuring works from Victoria Adams, Luis Gonzalez Palma, and Rod Kagan. Kagan’s sculptures are characterized by his combining of multiple artistic features. His work includes influences that are based in early Idaho mineral mines and tribal and minimalistic aspects combined with his technical mastery of the bronze and steel medium. In 2012, Rod Kagan’s family and the community of Ketchum, Idaho, worked together to site a beautiful installation of five Kagan totems, “ The Idaho Totems,” and a bronze bench of Kagan’s as a permanent memorial to the beloved Ketchum sculptor, Rod Kagan, who passed away in December of 2010. More exciting art can be seen at the Kneeland Gallery, which presents “Wild Meets West” through July with works by Thom Ross and Linda St. Clair and features gampi prints from Pete Zaluzec. Noted Western artist Thom Ross strives to challenge the viewer of his distinctive paintings to reexamine what they know about the history of the West. Kneeland Gallery also features its three-day “Annual Plein Air Exhibition,” featuring eight of the gallery’s premier plein air painters. During this three-day demonstration, the artists face the challenge of changing light throughout the day and must work at a fast pace in order to capture these subtle changes on canvas. To wrap up the summer, Kneeland Gallery presents “Glowing Colors and Tiny Wings” with Jennifer Lowe, Jean Richardson, and James Moore. The exhibition continues through September. In August, Gallery DeNovo, an eleven-year-old Ketchum business celebrates the beginning of a new era and will commemorate the ending of another with a show of works from nearly every artist represented by the gallery and emphasizes transitions through the evolution of style. Gallery DeNovo features over 50 artists from 13 countries, including unique and compelling contemporary paintings, sculpture, photography, and printmaking of internationally recognized artists. This summer is also an exciting season for a new exhibition by Pegan Brooke at the Friesen Gallery. Brooke will feature “Flux” through July with new works in oil that communicate the fleeting quality of experience and the flowing nature of being. “My paintings come from curiosity, wonder, and a desire to understand questions I have about life [nature, beauty, space, light],” she said. Other Friesen Gallery exhibitions will include “Swell” with works by Barbara Vaughn and “Moveable Type” with works by Rachel Brumer. At Gilman Contemporary, established New York based artist Hunt Slonem exhibits for the first time in Sun Valley throughout July with his show, “Here Comes the Sun.” Slonem combines abstract expressionist techniques with mysticism and animal subjects influenced from his time living in Hawaii, Mexico, and Nicaragua. The gallery also features artists Luis Garcia-Nerey and Anke Scholfield in an exhibition “Outside In” through September. Their multi-layered process includes photographs, roofing tar stain, oil, charcoal pencil, and acrylic and oil paints. At Broschofsky Galleries, artists Russell Chatham, Michael Coleman, Brandon Cook, David Dixon, Glen Edwards, Jan Grotenbreg, Tom Howard, and Jack Koonce are all featured in a spring salon followed by works by Theodore Villa in July. A Santa Barbara native, Villa has exhibited in Sun Valley for over 30 years. In August, Broschofsky Galleries presents the works of Russell Chatham’s oil paintings and works on paper, as well as a collection of works by contemporary wildlife artist Ewoud de Groot, in attendance from Amsterdam. 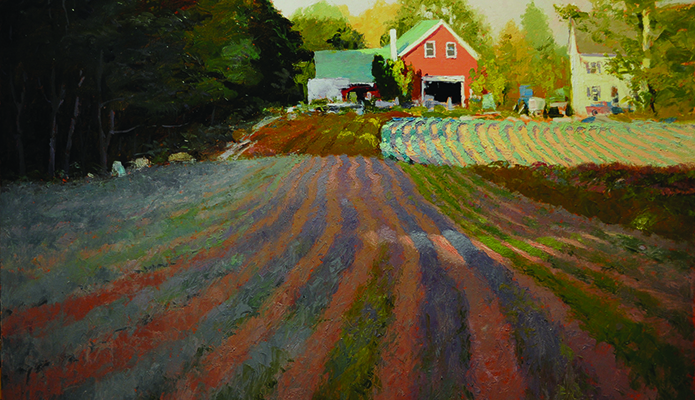 Wood River Fine Arts, An Expressions Gallery, has flourished in the last year as gallery partners Dave and Molly McGary, Tom Bassett, and Sandy Gregorak expanded the gallery’s offerings with the work of nationally recognized artists whose paintings showcase the internationally renown bronze sculptures of gallery partner Dave McGary. Also on exhibition, the gallery includes its addition of Cowboy Artists of America member R.S. Riddick, as well as works by Quang Ho and Glenn Dean, who like Riddick, are artists of national acclaim. For a first-time joint exhibition, Harvey Art Project USA features acclaimed artists from Munupi Art Center and Jilamara Art Center from the Tiwi Islands off the northern coast of Australia. In August, they present works from the Tjarlirli Art Centre, which represents the artists of Tjukurla in the Ngannyatjarra lands of Western Australia. The artwork has strong links with the Papunya Tula movement, as families left Kintore and Kiwirrkurra to return to their homelands in the mid 1980s. At Ochi Gallery, enjoy the works of Sun Valley’s talented young local artists at “Not Bad” and “Death to Day Jobs 2: New Frontiers.” In addition, Ochi Gallery presents its third solo show with Gordon Stevenson, aka Baron Von Fancy. 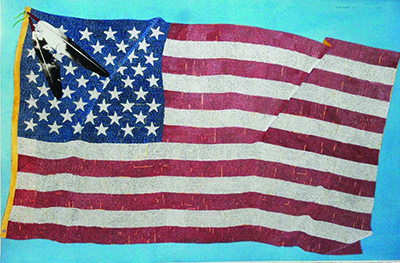 The show includes a variety of works by the tongue-in-cheek artist. The Ochi Gallery also features Erin Rachel Hudak’s second solo exhibition, “My Nature/Your Nature” and an exhibition by Alexander Yulish.